#7 Shiny Silver coil on Black Tape. 1 Way Separating Jacket Zipper. 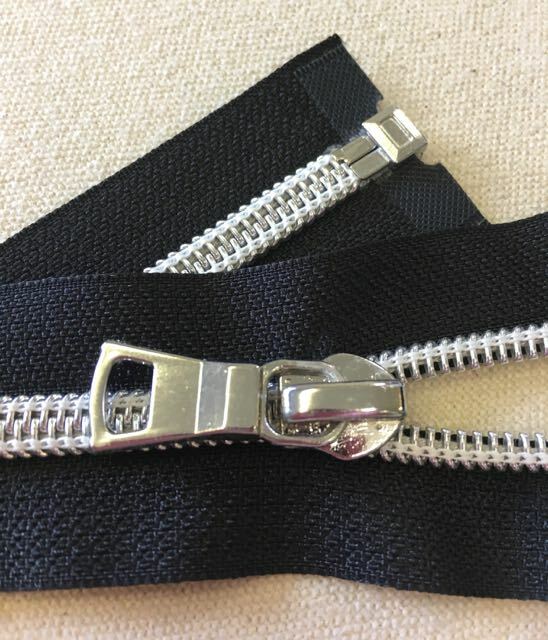 This is a COIL zipper instead of a metal toothed zipper. More flexible. Less scratchy. Light weight.